Rafaam is here to summon imps. Rafaam is one of five villains who make up the league of E.V.I.L that will be opposing players in the upcoming Rise of Shadows expansion. Each of those villains is expected to have a Scheme card. 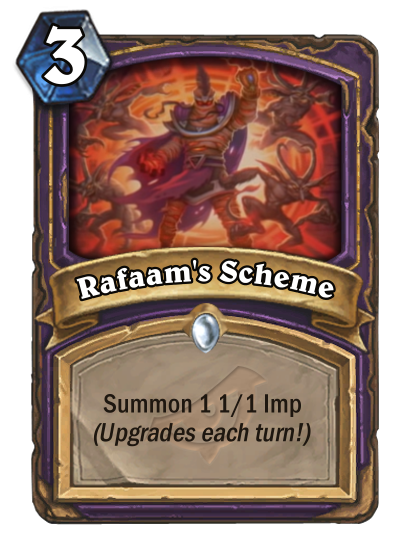 Today, the Hearthstone team surprised fans by revealing Rafaam’s Scheme. Do you like Imps? Apparently, Rafaam, the Supreme Archaeologist does. Since this is a Scheme card, a number on it increases each turn that it’s in your hand. This means that Rafaam can potentially fill your board with 1/1 Imps. Considering the card’s low-mana cost, a board full of weak Imps provides pretty decent value. Rafaam’s Scheme is limited by the amount of minion spaces available on the board, but according to the Hearthstone team, other Scheme cards will have no cap. In the reveal video for Rafaam’s Scheme, the team mentioned that Scheme cards are the result of an idea that the team had about giving spells an Adapt-like mechanic. While Schemes ended up being super different from Adapt, they’re an interesting twist on how spells are used within Hearthstone. We’ll be keeping an eye out for more cards as Blizzard reveals them. 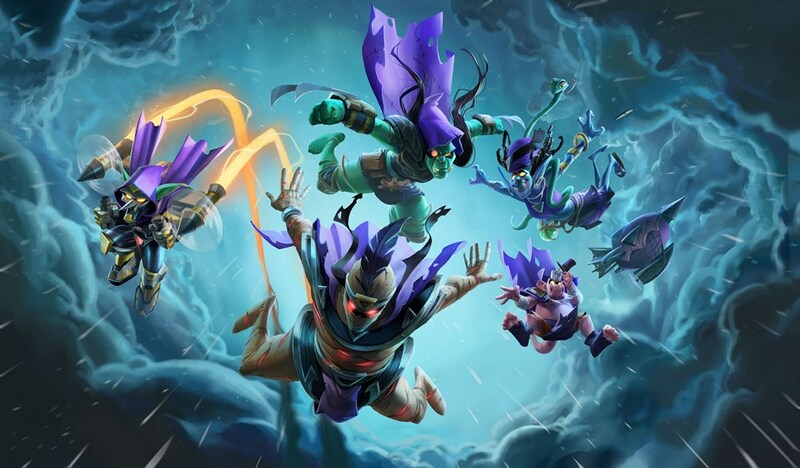 You can play the Rise of Shadows expansion starting on April 9.